Naḥal Tanninim Reservoir was an ancient artificial lake spreading over c. 1,350 a., created by the construction of two dams: the Tanninim Dam across a breach in the kurkar crest made by Naḥal Tanninim and Naḥal ‘Ada, and the North Dam across the Carmel trough. The reservoir functioned as a huge elevating pond to allow the water accumulated behind the dams to flow to Caesarea via the low-level aqueduct, and harness the water power to operate mills. W. Lynch visited the Tanninim Dam and adjacent mills in 1848, and W. M. Thomson went to the site in 1857. The Palestine Exploration Fund surveyors inspected the dam in 1872 and mentioned the reservoir as the source of the low-level aqueduct to Caesarea. G. Schumacher described the North Dam in 1887. S. Avitzur studied the Tanninim Dam and the adjacent mills in the 1940s and 1950s, J. Oleson in 1974–1975, and T. Schoiler in 1984. Y. Peleg summarized the body of knowledge on the reservoir and the dams up to the late 1980s. 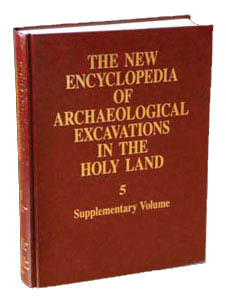 Y. Porath, of the Israel Antiquities Authority (IAA), directed excavations of a mill on the North Dam in 1997–1999. The IAA carried out extensive excavations at the Tanninim Dam and its surroundings in 2000–2005, directed by A. -S. Sa‘id, ‘U. ‘Ad, and P. Gendelman.